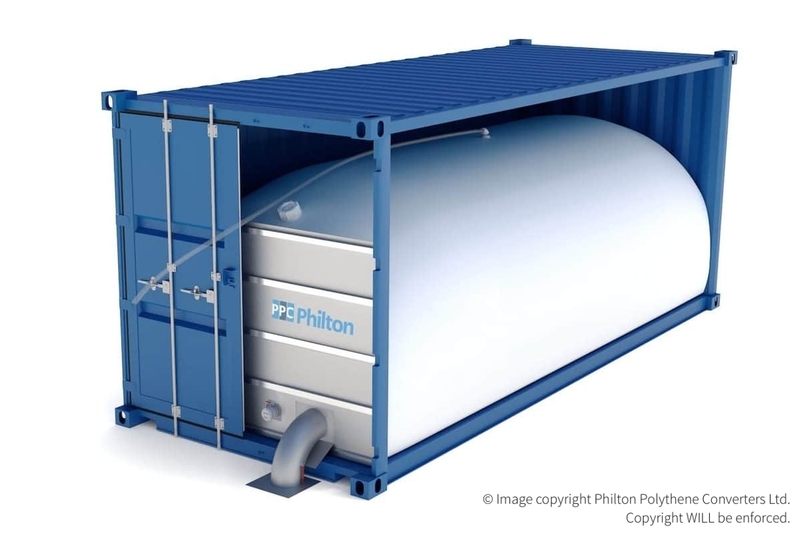 Flexitanks convert a shipping container into a bulk liquid transport solution for free-flowing non-hazardous liquids. Available in sizes from 10,000 to 24,000 litre. Can be Top Loading/ Discharge, Bottom Loading/Discharge or Top Loading & Bottom Discharge. 100% Food Grade contact materials. Flexitanks are manufactured in our ISO9001 / ISO22000 quality assured plants with strict raw material testing, QA procedures and controls. Flexitanks are manufactured and tested in accordance with PAS1008:2016. Food grade high tensile co-extruded LLDPE film offering excellent moisture (WVTR) properties which have been specifically formulated for use with Flexitanks. High Strength Woven Polypropylene fabric outer layer. Polypropylene 3” Filling/Discharge Valve. Other sizes available. Optional barrier layers for products susceptible to Oxygen and odour Transmission. Made from seamless PE films to reduce the number of welds. Automatic Pressure Release Valve (PRV) available. 100% of all Flexitank end welds are pressure tested to 1 bar. All materials are fully recyclable. Flexible and easy to roll up after discharge. Easy to install; with valve positioning fittings. Corrugated board and metal bar bulkhead system. Bath tub style lining available as an additional safety feature. Can be Top Loading/Discharge, Bottom Loading/Discharge or Top Loading & Bottom Discharge. Capable of carrying a huge range of free flowing non-hazardous liquids, both food grade and non-food grade. Polypropylene 3” Filling/Discharge Valve as standard. Other sizes available. Easy to install; complete with Valve positioning fittings. Internal elbow to aid full discharge of cargo. Single layer design suitable for viscous and difficult to discharge products. Designed for discharge with powerful high-suction pumps. Semi-transparent material aids product visibility whilst loading. 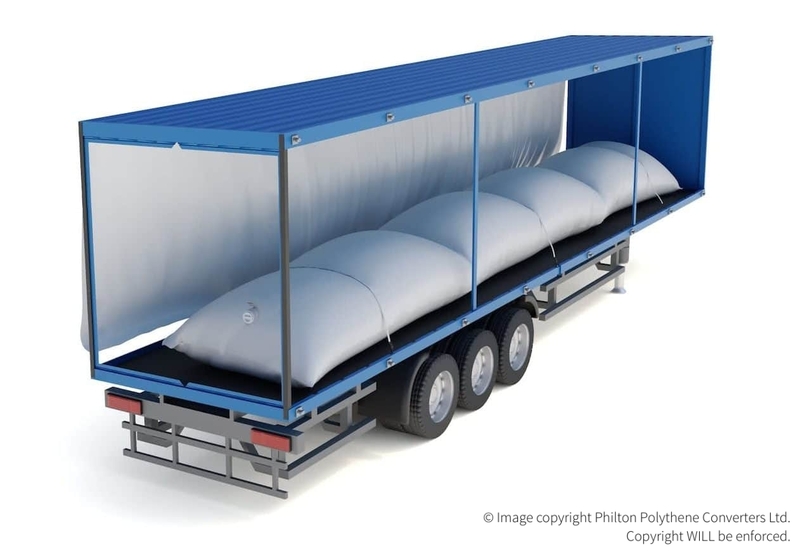 Trailer Flexitanks convert a curtain-sided trailer, swap body or reefer into a bulk liquid transport solution for free-flowing non-hazardous liquids. Available in sizes from 10,000 to 26,000 litre. Available in various sizes for 30’ , 40’ and 45’ containers or trailers. Trailer Flexitanks are manufactured in our ISO9001 / ISO22000 quality assured plants with strict raw material testing, QA procedures and controls. High Strength Woven Polypropylene fabric. Polypropylene 3” Filling/Discharge Valve as standard. Other sizes are available. Easy to install with unique surge damping system. Ideal for when shipping containers or road tankers are not readily available. Special Design Flexitanks convert a shipping container into a bespoke bulk transport solution for unique applications. Size and specification tailored to meet the application. Capable of carrying a huge range of non-free flowing liquids including pastes, suspended solids and fruits, both Industrial and food grade. Flexitanks are manufactured in accordance with PAS1008:2016. Numerous options for filling, discharge and venting available. Optional barrier layers to protect against radiant heat, sunlight, oxygen and odour transmission. At PPC Philton we have an innovative and experienced design team that can realise your most demanding project challenges. Available in sizes up to 50,000 + litres. 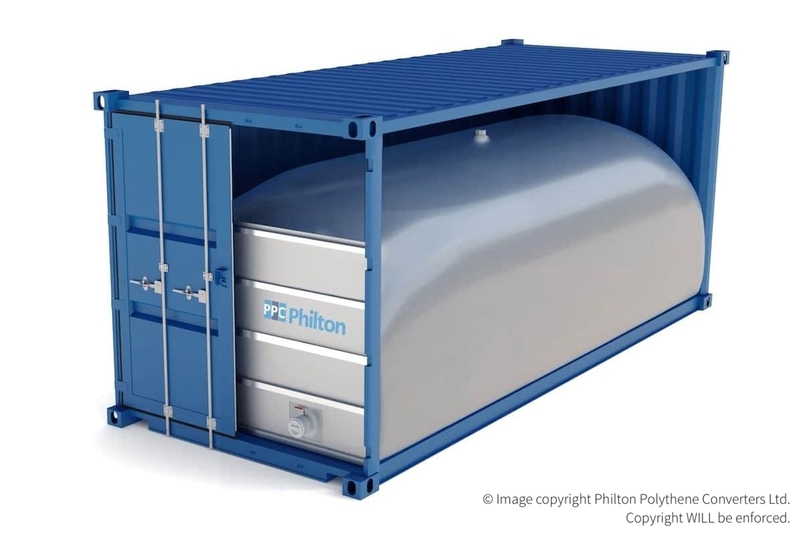 Capable of storing a huge range of free flowing non-hazardous liquids, both food grade and non-food grade. Static Storage Tanks are manufactured in our ISO9001 / ISO22000 quality assured plants with strict raw material testing, QA procedures and controls. Ideal for outdoor festival use. 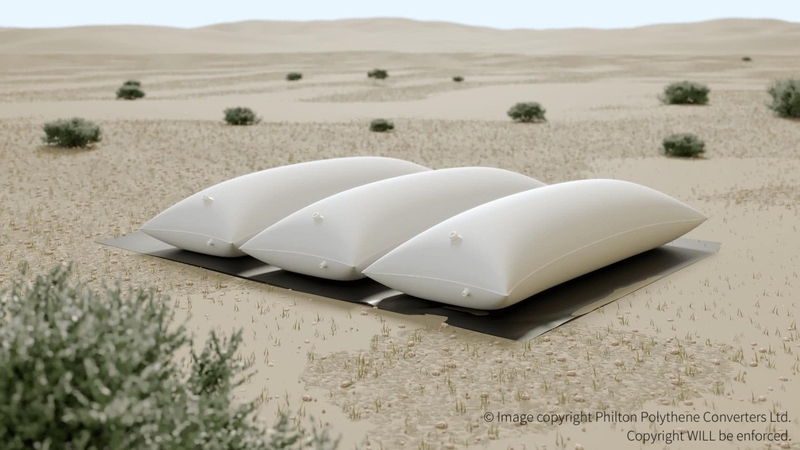 Ideal for emergency use in drought affected regions. Ideal for Emergency Fire Fighting. Food grade high tensile co-extruded LLDPE film offering excellent moisture (WVTR) properties. Several tanks can be linked together to load via one inlet / feed. Additional valves, vents and drains can be placed on the Storage tank. 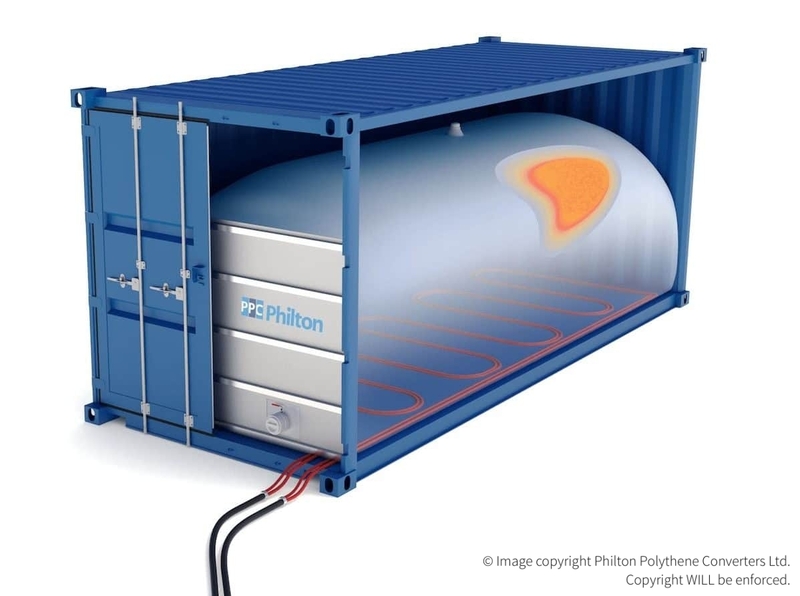 Ideal for transporting liquids that require heating at the discharge site . Any size or capacity heater pad available. Heater Pads are manufactured in our ISO9001 / ISO22000 quality assured plants with strict raw material testing, QA procedures and controls. Used to heat a wide variety of products, including Shea Butter, Cocoa Butter, Palm Oil, Fatty Acids and Waxes. Prime Food grade high tensile co-extruded LLDPE film, or heat reflecting foil. Superior quality heater hose capable of maintaining a higher temperature than standard heater pad systems. Safe and easy to use with hot water or low pressure steam. Can be used in conjunction with any PPC Philton Flexitank. Unique installation test system to ensure correct operation.